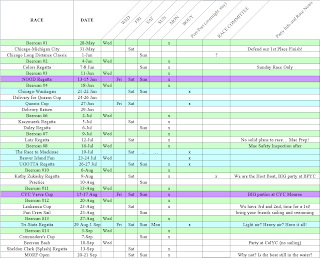 Maskwa Racing: 2008 Race Schedule!! For some reason, Blogger will not let me store this as a larger image. Click on the image, and you will get the schedule full size normal-ish. Hope to see you out on the water! Of course weekdays are always difficult for me but, I should be there for the rest.